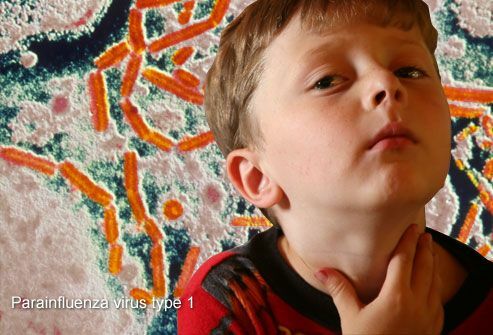 While vaccines have made some childhood illnesses rare, many others remain a fact of life. They range from common infections like croup to mysterious ailments like Kawasaki disease. In the following slides, you'll learn the facts about two dozen childhood illnesses. But be sure to consult your pediatrician for proper diagnosis and treatment. RSV stands for respiratory syncytial virus, and it's the top cause of bronchiolitis (inflammation of the small airways) and pneumonia in U.S. infants. The infection begins with flu-like symptoms, including a fever, runny nose, and cough. Up to 40% of young children with their first RSV infection will develop noticeable wheezing, and up to 2% will require hospitalization. RSV tends to be milder in older kids and adults. Young children are prone to ear infections because of their small and horizontally positioned auditory tubes. These tubes connect the ears to the throat, and they may get blocked when a cold causes inflammation. 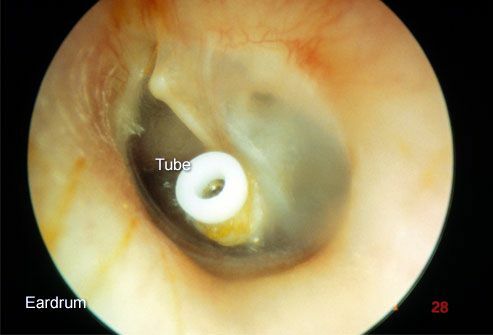 This traps fluid inside the middle ear, behind the eardrum, allowing germs to breed. The symptoms include fever, fussiness, and ear-pulling. Many ear infections are due to viruses and go away on their own. Childhood vaccinations help prevent infections from certain bacteria that can cause ear infections. 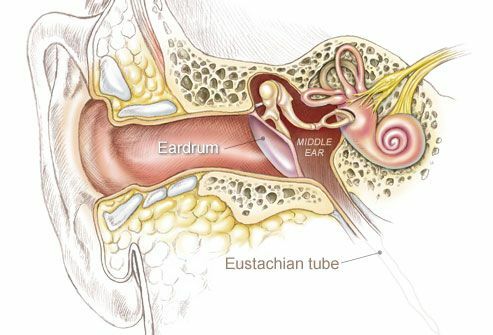 A buildup of fluid in the middle ear (either with or without any pain) is called otitis media with effusion, or OME. It often follows an acute ear infection or upper respiratory infection. The fluid usually clears up on its own within a couple weeks. However, if it lingers or is thick and glue-like ("Glue Ear"), it can interfere with a child's hearing. Ear tubes may be recommended to help the fluid drain. The hallmark of croup is a tight cough that occurs predominantly at night and sounds like a barking seal. The cause of the cough is inflammation in the upper airways, usually due to a virus. If breathing becomes severely impaired, hospital treatment may be needed. However, most kids get better on their own in about a week. Croup is most common in children under 5. 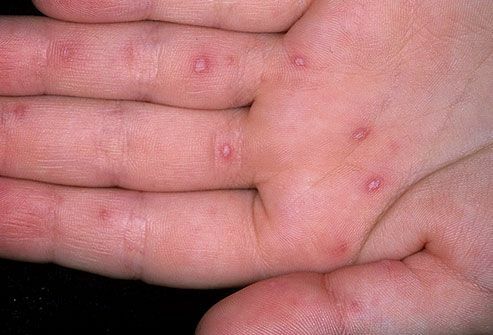 Hand-foot-and-mouth disease causes a fever along with blisters on the inside of the mouth, the palms of the hands, the buttocks, and the soles of the feet. 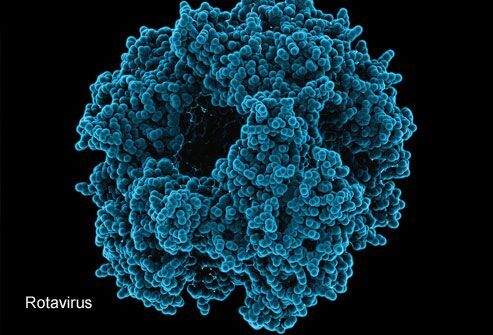 In the U.S., it is usually caused by coxsackievirus A16. 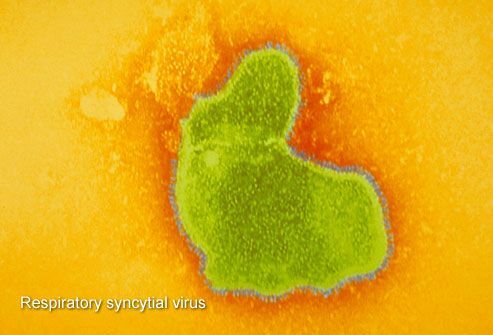 This virus tends to spread among children during summer and early fall. Most cases are not serious and last a week to 10 days. Tearing, redness, itching, and crusty eyelashes are all signs of conjunctivitis, commonly called pinkeye. 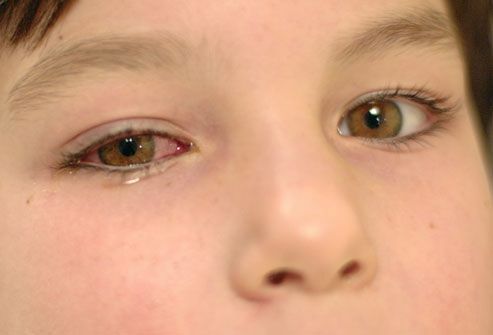 Often caused by the same viruses as the common cold, pinkeye spreads rapidly in schools and day care centers. Consult your pediatrician to determine whether your child needs treatment. Most cases clear up in four to seven days. 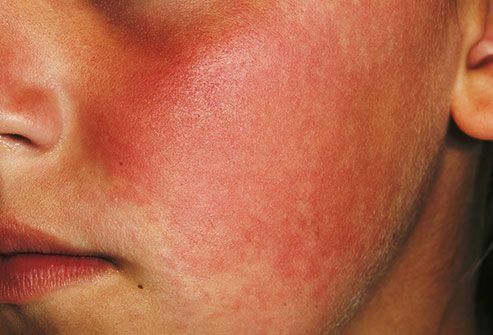 Often called "slapped cheek" disease, fifth disease causes a bright red rash on a child's face. A rash may also appear on the torso, arms, or legs. The culprit is human parvovirus B19, a virus that may cause mild cold-like symptoms before the rash is seen. 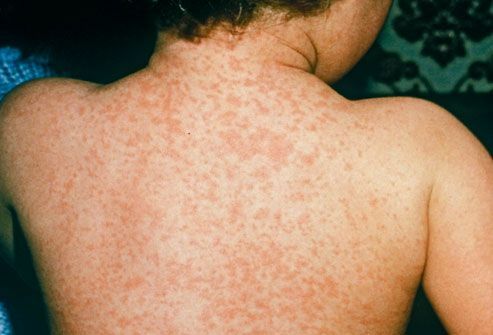 Once the rash appears, the child is usually no longer contagious. Up to 20% of kids get it by age 5, and up to 60% have had it by age 19. The rash usually disappears in seven to 10 days. 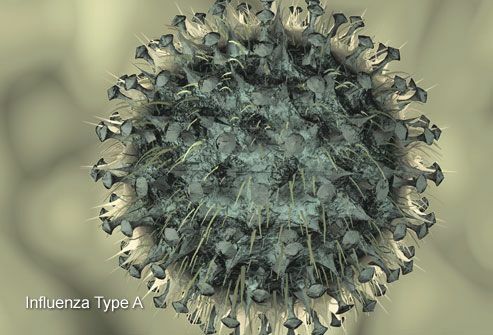 Before the introduction of an effective vaccine, rotavirus was the top cause of diarrhea-related deaths in young children. The main symptoms are vomiting and watery diarrhea, which can make babies become dehydrated very quickly. There are now two rotavirus vaccines for infants, and studies indicate a dramatic drop in the number of new cases. Kawasaki disease is a very rare and mysterious ailment that strikes children under age 5. The symptoms include a high and prolonged fever (lasting more than 5 days), patchy rash, swelling and redness of the hands and feet, bloodshot eyes, and chapped, red lips. Without treatment, the illness can damage the heart and may be fatal. Doctors have yet to discover what causes Kawasaki disease. 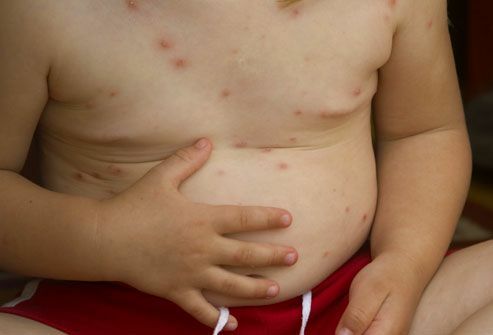 Once a very itchy rite of passage, chickenpox is now preventable through the varicella vaccine. The reasons for vaccination go beyond sparing your child the uncomfortable red blisters. Chickenpox can cause dangerous complications in newborns, adults, and pregnant women. Before the vaccine, chickenpox sent 11,000 Americans to the hospital every year. If your kids are up-to-date on their vaccines, you probably don't have to worry about measles. But the CDC has reported outbreaks among unvaccinated children. The infection starts with a fever, runny nose, and cough. As these symptoms fade, a full-body rash appears. Most kids get better in two weeks, but some develop pneumonia or other problems. 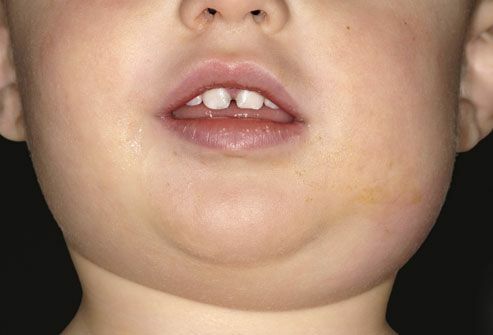 Mumps is another childhood illness that was very common before a vaccine was developed. The infection often causes no symptoms, but when it does, the classic sign is swollen glands between the ear and jaw. This creates the appearance of "chipmunk cheeks." Despite high vaccination rates, recent outbreaks have infected thousands of people in the U.S. Unvaccinated individuals are 9 times more likely to catch mumps. 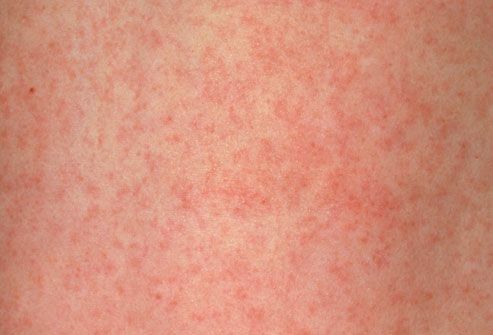 Rubella, also called German measles, is a mild virus that usually causes no serious problems. However, it can harm the fetus if a pregnant woman becomes infected. The symptoms are a low fever and rash that spreads from the face to the rest of the body. A standard childhood vaccine called MMR protects against measles, mumps, and rubella. Whooping cough makes children cough so hard, they run out of breath and inhale with a "whoop." The infection is most severe in infants and may require hospital treatment. The medical term for the disease is pertussis -- the "P" in the DTaP vaccine. Antibiotics are not especially helpful in treatment, so vaccination is essential for prevention. Adults need a booster, and pregnant women need a booster with every pregnancy. Meningitis is an inflammation or infection of the tissue around the brain and spinal cord. In teens and adults, the main symptoms are headache, fever, and stiff neck. Young children may have flu-like symptoms or extreme irritability. Viral meningitis is usually mild, but bacterial meningitis is more severe with serious consequences if it isn't treated quickly. Vaccines are available to prevent certain bacterial causes of meningitis. Most kids get a sore throat now and then, usually due to a cold virus. So how can you tell if it's caused by the strep bacteria? Sneezing or a runny nose point to a cold. Signs of strep include a sore throat with a headache that lasts more than a week, painful or difficult swallowing, excessive drooling, a rash, pus in the back of the throat, fever over 100.4 degrees, or contact with someone with strep throat. 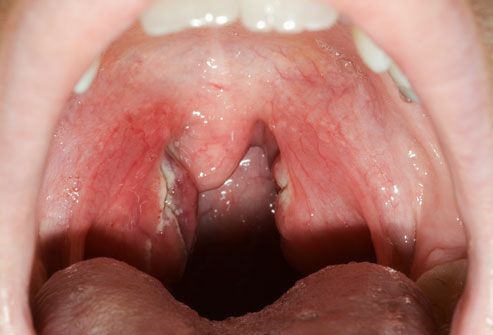 Strep throat is treated with antibiotics. 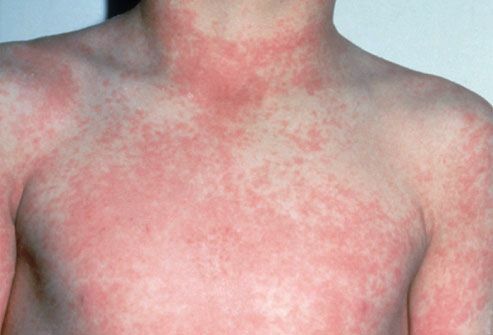 Sometimes a rough, red rash accompanies strep throat. This is known as scarlet fever. The rash begins on the chest and abdomen and spreads all over the body, accompanied by a strawberry-looking tongue and high fever. Without treatment, any strep infection can lead to rheumatic fever and, in rare cases, heart damage. That's why scarlet fever was once a dreaded childhood illness. Today, it is easily cured with antibiotics. You've probably heard you should never give aspirin to children or teens. Reye's syndrome is the reason. This life-threatening condition may strike kids who take medications containing aspirin during a viral illness. 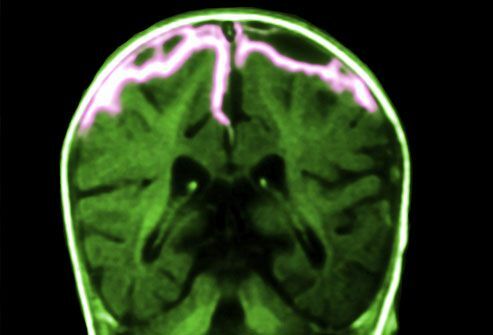 Symptoms include dramatic behavior changes, seizures, and coma. 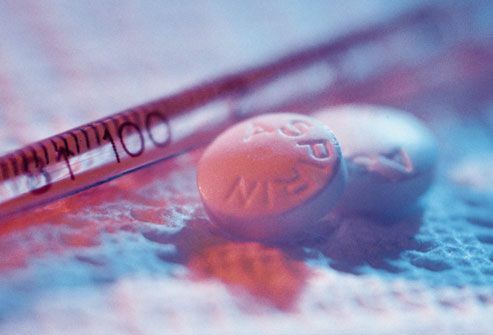 Reye's syndrome has become very rare since the CDC warned against giving aspirin to children. MRSA is a type of staph bacteria that doesn't respond to some antibiotics. Doctors say MRSA is now the top cause of skin infections. 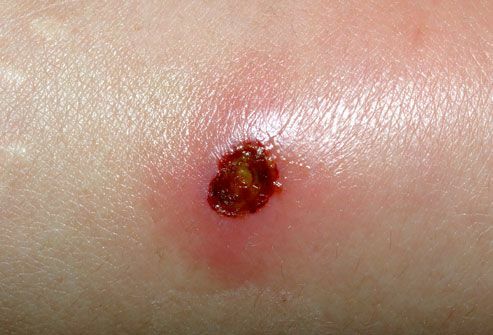 These infections usually appear in the form of sores or boils and may look like a spider bite. 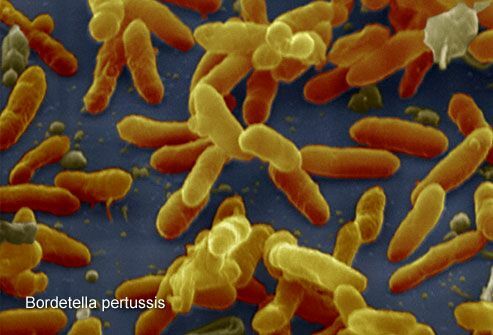 MRSA ear, nose, and throat infections are also on the rise in elementary school children. 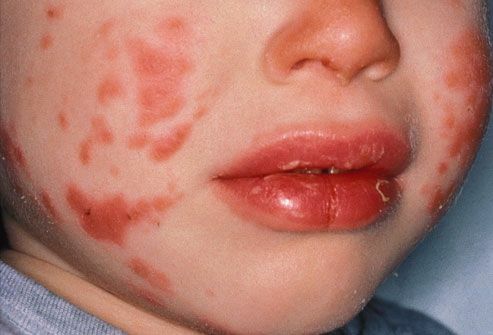 Impetigo is another bacterial skin infection. It most commonly causes clusters of tiny blisters on the skin that ooze and form a golden crust. Touching the fluid can spread the infection to other parts of the body or other people. It is often caused by staph bacteria but also can be caused by strep bacteria. 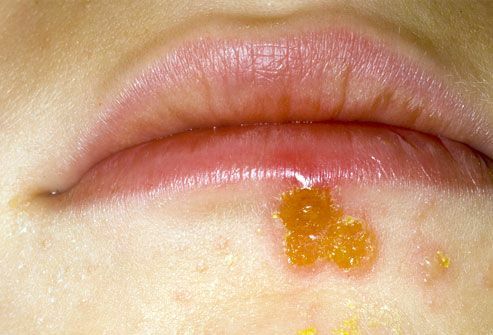 This type of impetigo is most common in kids ages 2 to 6. If treated with antibiotics, the sores usually heal without leaving scars. 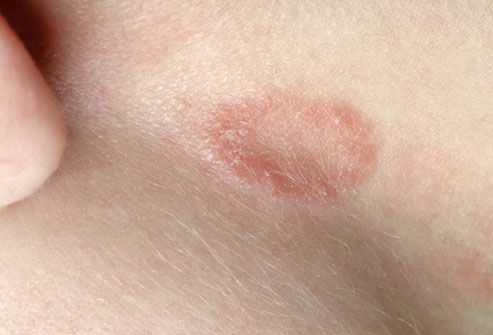 Yet another skin infection, ringworm is actually caused by a fungus -- no worms involved. It causes a red, scaly ring on the skin or a round patch of hair loss on the scalp. The fungus spreads easily from child to child, so sharing combs, brushes, towels, and clothes should be avoided. Ringworm is treated with antifungal medication. 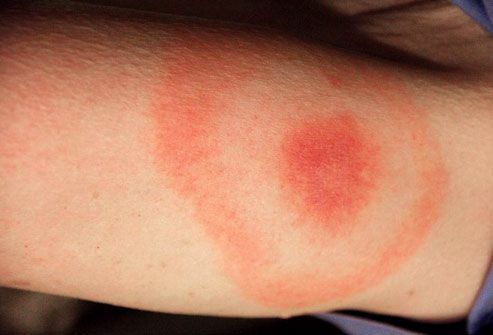 The hallmark of Lyme disease is a target-shaped rash that appears 1-2 weeks after a tick bite, though not everyone will develop the distinctive rash. The rash may be accompanied by a fever, chills, and body aches. The culprit is a type of bacterium carried by tiny deer ticks. Without treatment, Lyme disease can affect the joints, nervous system, and heart. Is it a cold or the flu? These illnesses can have similar symptoms. The flu more commonly causes high fever, chills, body aches, extreme fatigue, and nausea or vomiting. While most children get better on their own, the flu can lead to serious complications like pneumonia, especially in younger children. The CDC recommends an annual flu vaccination for anyone, including adults, older than 6 months. 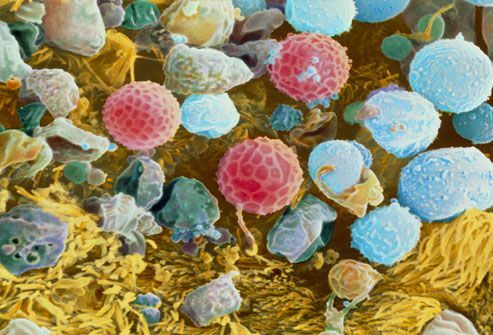 Seasonal allergies, sometimes called hay fever, are not an infection, but a reaction to microscopic particles like pollen (seen here in pink). Symptoms may include sneezing, watery eyes, and a runny or stuffy nose and may only occur in spring or fall. 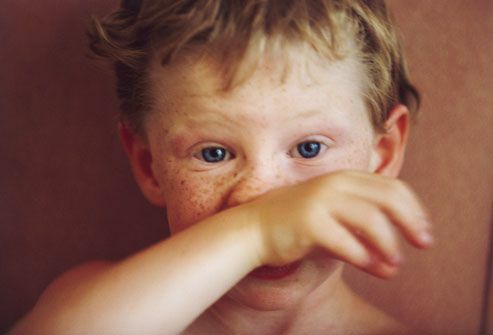 Kids may constantly rub their nose with the palm of the hand, a gesture called the allergic salute. There is no cure for hay fever, but there are ways to help control the symptoms. 7) Michelle Del Guercio / Photo Researchers, Inc.
8) Dr. P. Marazzi / Photo Researchers, Inc.
13) Dr P. Marazzi / Photo Researchers, Inc.
14) Dr P. Marazzi / Photo Researchers, Inc.
15) Eye of Science / Photo Researchers, Inc.
16) Medical Body Scans / Photo Researchers, Inc.
18) Biophoto Associates / Photo Researchers, Inc.
21) Dr P. Marazzi / Photo Researchers, Inc.
25) Eddy Gray / Photo Researchers, Inc.